Italy; Middle 15th Century. 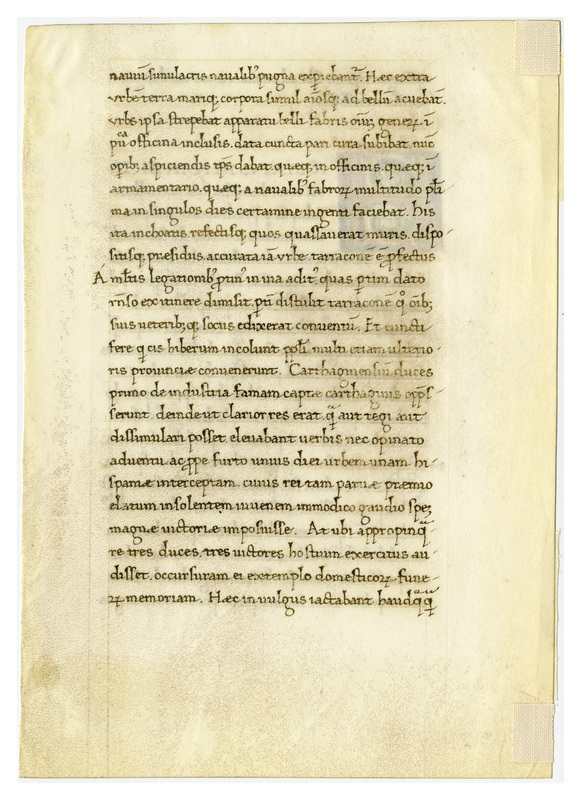 Latin Text; Humanistic Script. Reconstruction Note: In Ege's original manuscript, this leaf was followed by what is now Leaf 39 in the Ohio University portfolio. 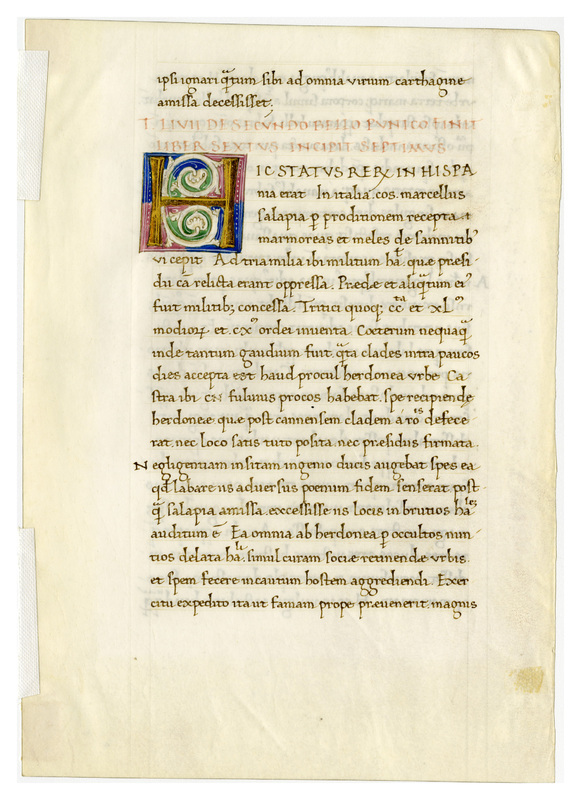 “E0039 Leaf from Livy's History of Rome (T. Livii ab Urbe Condita Libri),” Digital Exhibits | Denison University Archives & Special Collections, accessed April 23, 2019, http://exhibits.denisonarchives.org/items/show/59.